Over the past few months, I have really enjoyed creating fun new recipes using International Delight products, but I think this one is my favorite. It's quick and easy, and it only uses five ingredients! 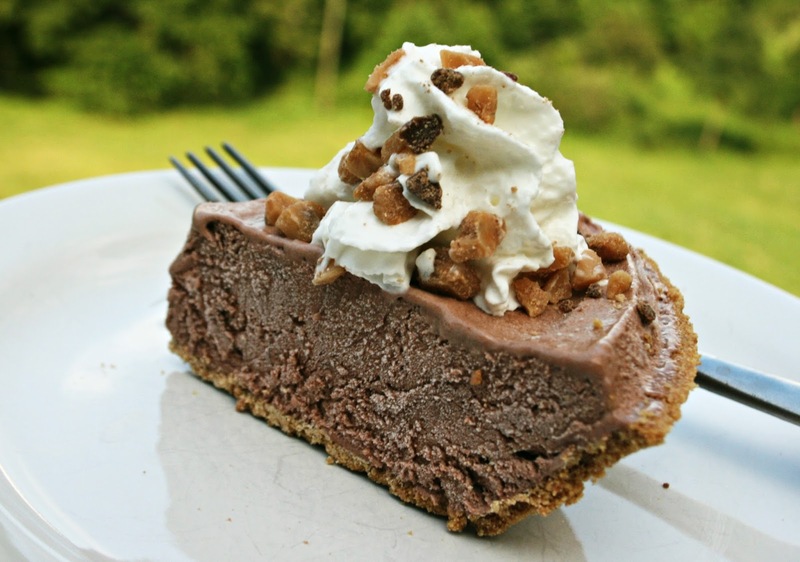 But the best part is, the slight cinnamon flavor leaves it with a more sophisticated flavor than your typical frozen pie (like a summer ice cream for adults), yet it is still sweet enough to be kid-approved. 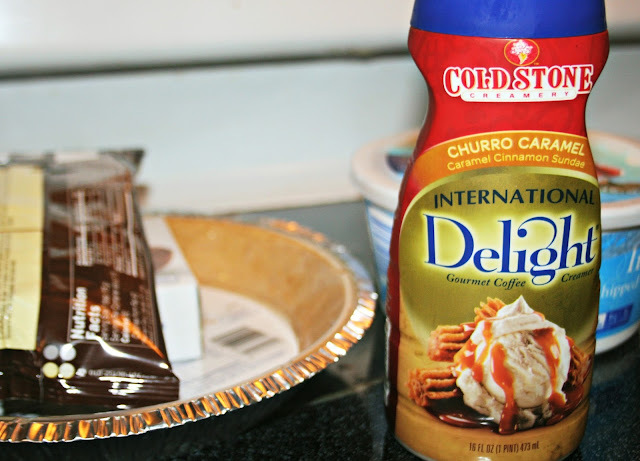 Place International Delight creamer and chocolate pudding mix in bowl and mix at low speed for 2 minutes. Fold in whipped topping. Place in freezer for 8 hours or overnight. Before serving, put a dollop of whipped topping on top of each piece and sprinkle with chocolate toffee bits. This pie would be wonderful to take to a friend's for an August dinner, and it whips up so quickly that it is no trouble at all. Even better - you can make it a week in advance and just pop it out of the freezer to serve when needed. We really enjoyed it. Love ice cream + coffee? This summer, International Delight is bringing your favorite Cold Stone Creamery ice cream flavors to coffee and they're celebrating by giving away five $400 grand prizes to throw this summer’s ultimate Ice Cream Social! 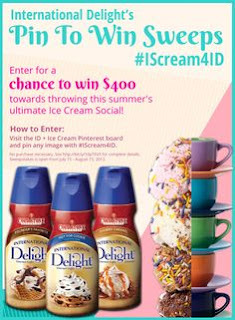 To enter, visit the ID + Ice Cream Pinterest board and pin your favorite image using the #IScream4ID hashtag. Good luck! Readers, what would you need to throw the ultimate ice cream social? Wow, that looks great, it probably doesn't stay around long though so it would be best to make two and put one in the freezer.